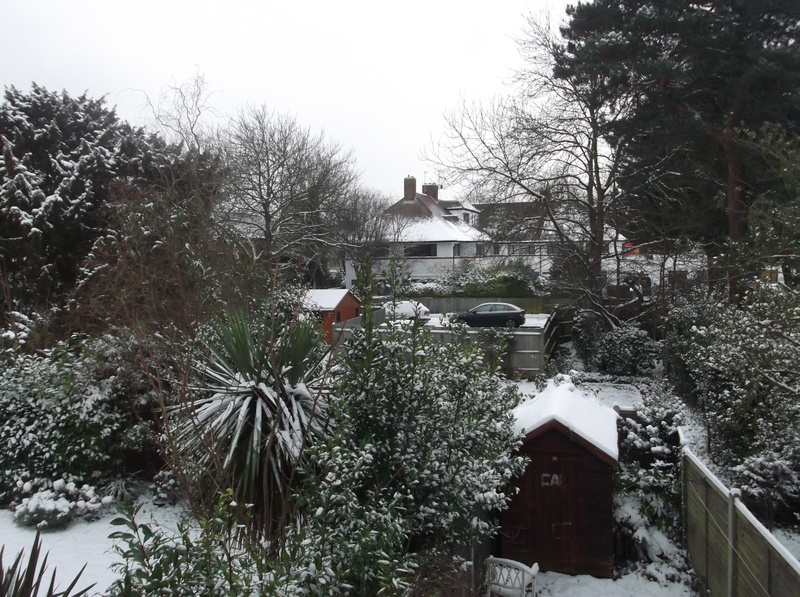 Today is the first day of my 9 day holiday and I have been greeted with a very pretty picture of snow outside our window! I am so pleased I do not have to attempt to drive down to Horsham in this weather. Luckily we have lots of food and wine so all is good and we can snuggle up warm and happy. The last couple of days have been quiet on the food front due to me coming home late- firstly because my car broke down with a flat tire just outside Lewes in the freezing cold and I had to wait for the recovery man to come out, and secondly a late shift at work. However, Colin came to the rescue with a good, hot chilli, which saved the day and was absolutely what the doctor ordered! 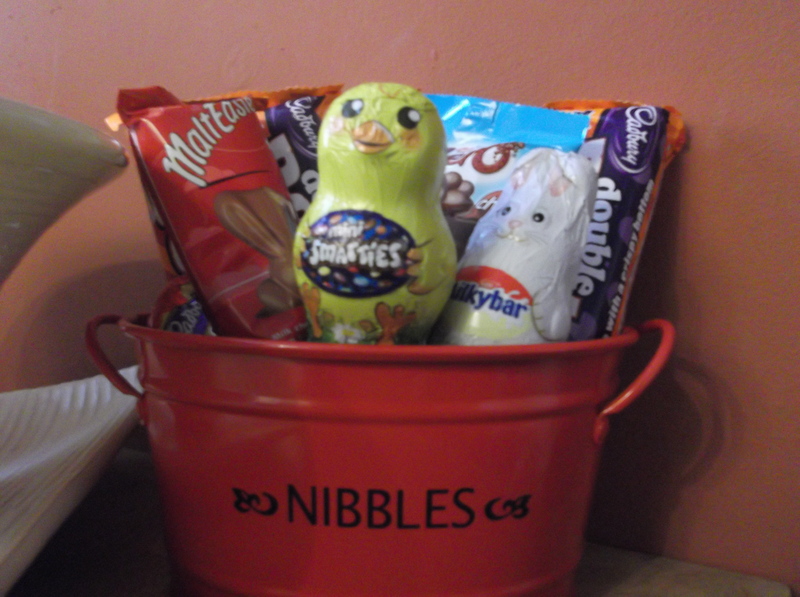 As a thank you the nibble tin has been topped up! Tonight I made a new take on a shepherds pie, a variation on a Sophie Conran recipe which was lovely (although Colin was not as keen as he would have preferred mince in the pie rather that the stewing steak). The filling of the pie was stewing steak, onions, carrots, juniper berries, thyme, rosemary, a bottle of Belgian beer and some beef stock. This was simmered down until the meat was cooked and the sauce thick, then put into a pie dish and topped with masked potato and sweet potato. I would definately make it again but use minced beef instead- I really liked the topping which both looked and tasted great with the orangeness of the sweet potato. We served this with some peas (sorry Marie!) and runner beans and a lovely bottle of Valpolicella. Poor Colin has to work tomorrow but then we are off for a week and I can’t wait!!! On Thursday it was Barbara’s birthday so Happy Birthday and we raise a glass of wine to you! Enjoy the sunshine (we are all jealous…).